The Richard Walton Group is celebrating 28 years as an accomplished, award winning, multi-genre (World Beat, Jam, Fusion, Jazz, Funk, Rock) instrumental group. 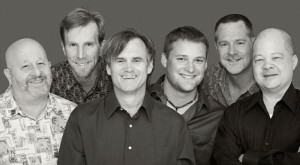 The band’s current musicians include Michael Bronson (guitar), Barry Caudill (sax / flute), Michael Gottleib (keyboards), David Meer (guitar) , Eric Robertson (drums), Mitchell Shaivitz (percussion) and Richard Walton (bass guitar). In 2016, the group was nominated ‘Best Jazz Artist’ by the Maryland Music Awards. In spring of 2016, the band received a WAMMIE nomination for‘Best Jazz Recording’ for their highly anticipated new studio CD “Under The Current”. They also received 4th place at the WAMMIE Awards for ‘Fan Favorite’. Allen Pond Park – Bowie, MD. Baltimore Book Festival – Baltimore, MD. Baltimore Museum of Art – Baltimore, MD. Baltimore Waterfront Festival – Baltimore, MD. Bare Bones Restaurant – Ellicott City, MD. Blues Alley Jazz & Supper Club – Washington, D.C.
Catonsville Arts & Crafts Festival – Catonsville, MD. Centennial Lake Park – Ellicott City, MD. CBS 60 Minutes II – CBS Television N.Y., N.Y.
Columbia Lakefront Summer Concert Series – Columbia, MD. Eden Restaurant – Rehoboth Beach, DE. 59 Lake – Rehoboth Beach, DE. Jammin’ Java’s – Vienna, VA.
Lansdowne Resort – Lansdowne, VA.
Lexington Market – Baltimore, MD. Lurman Woodland Theater – Catonsville, MD. Maryland Public Television – Owings Mills, MD. M & T Bank / Ravens Stadium – Baltimore, MD. Milltowne Tavern – Ellicott City, MD. Rehoboth Beach Bandstand – Rehoboth Beach, DE. Rehoboth Beach Jazz Festival – Rehoboth Beach, DE. Senator Theatre – Baltimore, MD. Towsontowne Festival – Towson, MD. Vienna Presbyterian Church – Vienna, VA.
Vienna Towne Green Concert Series – Vienna, VA.
Viva Vienna – Vienna, VA.
Wine In The Woods Festival – Columbia, MD.